14	Morten is interviewed by Per Frogner on the Norwegian radio programme "Nytt og uhørt" of NRK P1 which is a programme for Christian music. The Swedish artist Carola Häggkvist is interviewed on the same programme. 6	Morten arrives in Stavanger, Norway. 7	Morten is the main attraction for the final event of the art and cultur arrangement "En verden uten sult - kunstnere for Afrika" (A world without hunger - artists for Africa) in Stavanger. He takes part in the torch procession and makes an appeal on the Kulturplassen. The income from the event goes to farmers in the African Sahel-district. Morten attends due to his work with the Norwegian organisation "FN jordbruksfond" (the UN fund for farming). 26	a-ha attend the annual festival of Italian music in San Remo; "Festivale di Sanremo". The festival takes place over several evenings and has an "international section" where a-ha perform "Stay On These Roads" on the first evening of the festival (Prima Serata). Robbie Robbertson is one of the participients at the festival in Sanremo and a-ha eat dinner with him and his band. Here, they get to know Danny Gayol who is with Robbie Robbertson in Sanremo and ends up being one of the percussionist on their "Stay On These Roads" world tour. 27	During the day, a-ha are interviewed in San Remo for the Italian TV channel "Videomusic" and for "Discoring" on a ship in San Remo. They are also interviewed in front of a bamboo wall on "Superclassifica Show". When the interview begins, the wall collapses causing much laughter and the interview has to restart! This mishap is later shown on another programme. The second evening of the Festivale di Sanremo (Seconda Serata) takes place and a-ha again perform "Stay On These Roads". 1? 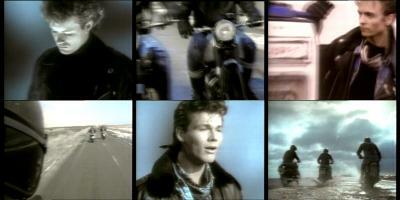 a-ha start the shooting of their video for "Stay On These Roads" in England. The video is filmed on the Norfolk coast and is directed by Andy Morahan. 9	a-ha perform "Stay On These Roads" on the UK TV show "Wogan". 10	A few days before the single is released in Norway, there's still confusion about the title: the Norwegian newspaper "Aftenposten" reports that the single "Walk These Roads" with B-side "Soft Winds of April" is being released on Monday. 11	Again a false rumour in the Norwegian press: "Aftenposten" quotes an interview with the producer of the "Kamilla og Tyven" film saying that a-ha recorded the title track in secret, during a night session in London while they were working on their next album (it's actually only Morten who was involved in the title song which was written by Ragnar Bjerkreim). 12	a-ha do promotion for their new single "Stay On These	Roads" on the UK Saturday TV show "Going Live!". During the show they announce a competition, the prize to which is to spend a day with a-ha on the "a-ha Express" to Birmingham	and attend the concert in the evening (25 March 1988). 14	"Stay On These Roads" is released in the UK; John Hudson has again worked on the remix of this song. 15	a-ha are interviewed by Mike Smith on UK "Radio 1". 16? "Stay On These Roads" is released in Norway (it goes to No.1 in the charts and stays in the Top 100 for 13 weeks). 17	a-ha are interviewed on the UK programme "TV-AM" and they show the world premiere of the video for "Stay On These Roads". 19	a-ha set off on tour again, the band they take with them are the English musicians, keyboard player Ian Wherry, Bass player Randy Hope-Taylor, Drummer Matthew Lettley and the American Percussionist Danny Gayol. The support band on the UK tour is the Glasgow duo "Kik". The set for this tour is about 90 minutes long and includes the songs "Cry Wolf", "Here I Stand And Face The Rain", "Touchy! ", "Manhattan Skyline", "Scoundrel Days", "The Sun Always Shines On TV", "This Alone Is Love", "We're Looking For The Whales", "And You Tell Me", "Hunting High And Low", "The Swing Of Things", "Take On Me", "The Living Daylights", "I've Been Losing You" and "Stay On These Roads". Some of the later shows include the songs "The Blood That Moves The Body", "You Are The One", "Hurry Home" and "Out Of Blue Comes Green". According to an interview which Morten did with "Aftenposten", the band only added three new songs to the set as they had been busy working on their new album right up to the tour and didn't have time to rehearse the new material. The first night of the tour is at the Showering Pavilion, Shepton Mallet, England. 20	Cornwall Coliseum, St. Austell, England. "Stay On These Roads" enters the UK charts at No.18. 22	"Stay On These Roads" is performed on "Top Of The Pops" (broadcast 24 March 1988). Carolyn Marshall from "Nescafé Roadshow" interviews a-ha and their fans before the concert in Portsmouth and follows the soundcheck. Guildhall, Portsmouth, England. 23	Carolyn Marshall follows the guys on the tour bus from Portsmouth to Bournemouth and interviews Morten (while Mags is sleeping because he has caught a cold), bodyguards and crew. While the stage is being built in Bournemouth, Morten is interviewed again. This interview is shown on UK Despatch. Clips are also shown in April during the charts and in December on "Nescafé Top 40" when "You Are The One" enters the chart. International Centre, Bournemouth, England. 24	The film "Kamilla og Tyven" premieres in Norway. It was supposed to come out on 26th December 1987, but the premiere was delayed until Easter due to new regulations for ticket aid for children's films. broadcast on "Top Of The Pops". 25	The "a-ha Express" departs from London Euston to Birmingham. Two hundred representatives of press and media plus two competition winners (including the "Going Live!" winner) join the train. A press conference takes place in Birmingham before the show where a-ha do a long interview. In the evening, the concert takes place at NEC, Birmingham, England in front of an audience of 11,500 people. Parts of the press conference and interview are shown later in the year on programmes such as "Going Live" (2 April), "Rock Europe" (11 April) and on the UK channel "Super". 26	On UK BBC Breakfast TV, there is a report on a-ha in Birmingham. 27	"Stay On These Roads" reaches its highest position of number 5 in the UK charts and number 2 in the Irish charts. 28	Apollo Theatre, Manchester, England. 29	Apollo Theatre, Manchester, England. 30	Opera House, Blackpool, England. 2	The Saturday morning UK TV show "Going Live!" do a feature on the competition winner who spent a day with a-ha on the "a-ha Express", 25 March 1988. 3	Empire Theatre, Liverpool, England. 4	Mags is interviewed over the telephone on the "Hotline Video Show" on Irish TV. The "Nescafé UK Top 40 Roadshow" featuring a-ha in Birmingham is broadcast. Some of the interview with a-ha in Birmingham is also broadcast on the UK show "Off the wall - Rockfile News" (on the TV channel "Super"). 11	On the TV show "Rock Europe" (Super), a-ha are interviewed and clips of the concert in Birmingham are shown. The same programme is later shown on the Italian channel Super Six Antenne 10 with Italian subtitles. 15	In Milan, a-ha are interviewed for the Italian TV-Show "Deejay Television". 17	In Milan, a-ha perform "Stay On These Roads" and "The Blood That Moves The Body" on the TV show "Chi Tiriamo In Ballo". 21	On the Irish TV show, "Video File" (Radio Teilifis Eiveann), they play 3 a-ha videos including "I've Been Losing You". They also show a special on a-ha in Belfast (22 January 1987) with interview and clips. 24	"Stay On These Roads" spends its last week in the UK Top 75 (a total of 6 weeks). 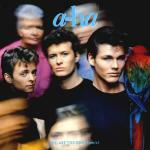 26	In Paris, a-ha are interviewed on the French Radio stations "NRJ" and "RTL" and Mags is interviewed on "RMC". The French TV show "Lahaye de Honneur" is recorded, a-ha perform "Stay On These Roads" (broadcast 13 May?). The German TV show "Formel 1" is broadcast: a-ha do an interview on a car and speak German. The German TV show "Live aus dem Schlachthof" is also broadcast and reports on the a-ha express to Birmingham. 27	Mags is interviewed on another French Radio station, "Sud Radio". a-ha perform "Stay On These Roads" and are interviewed by Jean Pierre Foucault on the French TV show "Sacrée Soirée" (broadcast live). The French TV show "Childeric" is recorded; a-ha do a long interview and perform "Manhattan Skyline" and "Stay On These Roads (broadcast 14 May). There is a "FNAC" (music store) press conference and signing session in Paris Montparnasse. 28	a-ha do an interview in Vienna for the Austrian TV show "X-Large" (broadcast 1 May 1988 and repeated on 7 August 1988). Stadthalle, Vienna, Austria. a-ha stay at the Hilton hotel in Vienna which is the same place as important representatives of the OPEC-countries who have a big conference in Vienna stay; therefore the hotel is protected day and night by armed police. In the hotel lobby after the show, Morten talks to Norwegian journalists about solar energy. 29	The album "Stay On These Roads" is released in Germany (it goes straight in the charts at No.8). The album is also released in Norway (it goes to number 1 for just one week). a-ha fly from Vienna to the Netherlands where they are interviewed by Simone Walraven on the Dutch Show "Countdown" in Bussum. They are picked up from the airport, do a long interview and perform "Touchy! ", "The Blood That Moves The Body" and "Stay On These Roads" (broadcast 25 May). After this show, a-ha fly to Zurich. 30? In Spain a-ha perform "Stay On These Roads", "Touchy!" and "The Blood That Moves The Body" on TV show "Sabado Noche". a-ha are interviewed in Madrid for a TV show ("A Tope"? ), Mags speaks Spanish. 30	St. Jakob Sporthalle, Basel, Switzerland. 1	The Austrian TV show "X-Large" (ORF) broadcasts the interview they did with a-ha when they were in Vienna. Patinoire de Malley, Lausanne, Switzerland. 3	The album "Stay On These Roads" is released in the UK; it is produced by Alan Tarney, mixed by John Hudson and features Randy Hope Taylor. Palais des Sports, Dijon, France. 4	Palais des Sports, Lyon, France. 5	Maison des Sports, Clermont-Ferrand, France. 7	In Mulhouse, a-ha are interviewed for the French TV show "La vie à pleine dents" (broadcast 11 May). Palais des Sports, Mulhouse, France. 8	The album "Stay On These Roads" enters the UK charts at its highest position of No.2. 9	Ice Rink, Marseille, Istres, France. 10	a-ha are interviewed on the French Radio station, "Radio Service". 11	The French TV show "La vie á Pleines Dents" broadcasts the interview with a-ha recorded in Mullhouse and they answer fans questions. Théatre de Verdure, Nice, France. 12	At the Cannes Film Festival, the English version of the film "Kamilla og Tyven" ("Kamilla and the Thief") has its premiere. The film is shown twice during the day and Morten attends the second showing in the evening. In this film, Morten plays the part of Kristoffer and marries a lady called Maria. Morten also sings the title track "Kamilla Og Sebastian". 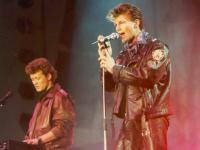 13	On the French music show "La Haye d'Honneur", a-ha perform "Stay On These Roads". In Paris, Mags is interviewed on French Radio "NRJ". Palais des Sports, Toulouse, France. 14	The French music TV show, "Childeric" broadcasts the a-ha interview and performances of "Stay On These Roads" and "Manhattan Skyline" (recorded 27 April). 16	The Italian TV channel "Italia1" shows the first part of a "Deejay Television a-ha special" with parts of an interview recorded on 15 April in Milan. 17	On the French Radio station "Sky Rock", a-ha are interviewed. Italia1 shows the second part of the "Deejay-Television a-ha Special" with parts of an interview recorded on 15 April in Milan. 18	Palais des Sports, Caen, France. 19	a-ha are filmed during the soundcheck at Paris Bercy by RTL Germany and do an interview. Bercy, Paris, France. There's a surprise party after the concert in Paris as a-ha's album "Stay On These Roads" has gone gold. 20	a-ha shoot the video for their new single "The Blood That Moves The Body" Regina hotel on rue de rivoli in the centre of Paris. The video is directed by Andy Morahan. "The Blood That Moves The Body" is released in Germany. 21	Espace Foire, Lille, France. 23	"The Blood That Moves The Body" is released in Norway. RTL broadcasts the report on the Paris concert. 25	"Stay On These Roads" is released in Japan. The Dutch TV show "Countdown" where a-ha are interviewed and perform "Touchy! ", "The Blood That Moves The Body" and "Stay On These Roads" is broadcast. 31	The filming for the second "Kamilla" film starts in Southern Norway. During the next eight weeks, the filming takes place in different locations around Kristiansand, Mandal, Lillesand and Vennesla. Due to the a-ha tour, Morten joins the film set later to record his scenes. Morten's brother, Kjetil, also has a part in the film. The first Kamilla film has been seen by 125.000 people. 1	On the German show "Na Siehste" with Günther Jauch, a-ha perform "The Blood That Moves The Body". In Unterfoehring, Germany, a-ha perform "Stay On These Roads" outside in a field. This performance, together with a short interview is shown on the Japanese music TV show "Yoru no Hit Studio" (broadcast date to be confirmed). 2	There is a press conference in Cologne where a-ha start the German leg of their tour. The German TV show "Aktuelle Stunde" ("RTL") allows two fans to go to a-ha's dressing room in Cologne where they sing an acapella version of "Per Spellmann", a Norwegian folksong. a-ha also do an interview for the German TV channel SAT1 who film parts of the soundcheck and concert. 3-7	The "Nordiske Barnefilmfestival" (Nordish Children's film festival) takes place in Odense, Denmark. Norway is represented by six short films and three regular length films, amongst them "Kamilla og tyven". 3	The morning German TV show "Guten Morgen Mit SAT" ("SAT1") broadcasts a report on the start of a-ha's tour in Cologne and shows part of the press conference, an interview, soundcheck (Here I Stand And Face The Rain) and a clip of the concert (Cry Wolf). 4	Stadion Sporthalle, Hannover, Germany. 6	"The Blood That Moves The Body" is released in the UK. 9	a-ha are interviewed on "Radio Hamburg" in Germany. There is an a-ha "Pop Profile" shown on UK Night Time TV	with video clips and an interview. 10	Alsterdorfer Sporthalle, Hamburg, Germany. 11	Alsterdorfer Sporthalle, Hamburg, Germany. 12	"The Blood That Moves The Body" enters the UK charts at number 26. 15	In Stuttgart, a-ha do a radiointerview for SWR3. 16	The German TV show "Tele-As" (ZDF) shows clips of the "Berolina" from 27 August 1987. 19	"The Blood That Moves The Body" reaches its highest position	of number 25 in the UK charts and number 11 in the Irish charts. 20	In the morning, a-ha fly from Munich to Saarbrücken for the concert in the evening at the Ludwigspark Saarlandhalle, Saarbrücken, Germany. 21	The scheduled show at the Carl-Diem-Halle, Würzburg, Germany is cancelled. 22	The scheduled show at the Frankenhalle, Nuremburg, Germany is also cancelled, instead there is an extra concert in Paris on 23 June. On the French children's TV show "Club Dorothé" and on the TV show "Null Part Ailleurs", a-ha perform "Stay On These Roads". 23	The extra concert at Bercy, Paris, France is free admission; also at this show Morten's brother Kjetil and his Dad attend. To promote a new train line, the train company "SNCF" pays for the whole a-ha show (20,000 people). It's the biggest show they've done so far. (The same train company also sponsored the whole of the French tour.) 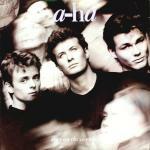 Directly after the show in Paris, a-ha go to Norway in a private plane and land at Gardermoen airport during the night. "Aftenposten" was invited to the concert in Paris and on the plane journey. 24	Morten has booked some driving lessons in Oslo, but they have to be stopped due to the number of fans and press who turn up. a-ha try out their new hot air balloon. 25	a-ha do a press conference at the SAS hotel in Oslo before the Kalvøya festival. At 8:30 p.m., a-ha do a concert on an island in the Oslofjord, outside Oslo, at the Kalvøya Festival. It is the 17th anniversary of this festival and 10,000 people attend the concert in nice hot sunshine. Other artists to play include DeLillos and Stage Dolls; and on the following day Leonard Cohen, The Rainmakers, Eva Dahlgren and The Colours Turned Red, but a-ha are the big main attraction. The band arrive in secret by boat to one of the beaches on the West of the island. The profits from a-ha's show are donated to the Norwegian environment organization "Bellona". Leonard Cohen is already at the festival and attends a-ha's concert, telling the Norwegian press that he always had liked the band. 26	On the French music show "Les Enfants du Rock", an interview with	a-ha and clips from the concert at Le Zenith are shown. The album "Stay On These Roads" has sold 205,000 copies in Germany. 3	"The Blood That Moves The Body" spends its last week	in the UK top 75 (a total of 4 weeks). 15	In the Norwegian list of movies seen by the most people at the cinema during the first half of the year, "Kamilla og Tyven" is at number 14 (being one of the two Norwegian films which have made it to the list). This film is being shown again in Norwegian cinemas. 19	It's the last day of filming of "Kamilla Og Tyven II"; the follow up film to "Kamilla Og Tyven". Morten's scenes are filmed during the last days of the filming and they film for nearly 24 hours a day to get it finished. 1-4	In Deauville, France, they shoot the video for "Touchy!". The video features synchronised swimmers and is directed by Kevin Moloney. 7	The Austrian TV show "X-Large" (ORF) shows an interview recorded in Vienna on 28 April 1988, they also give away an a-ha tour denim jacket as a competition prize. 11	In Giffoni near Naples (Italy), the Giffoni-Film festival for Children and Teenager films takes place. "Kamilla og Tyven" gets a special prize and is at number 4 (out of 12) in the "film charts" of this festival. The festival is sponsored by UNICEF and UNESCO and the jury consists of 140 children. 12	"Touchy!" is released in Germany. Morten and Mags dress up in traditional Norwegian costumes and go to Bristol for the balloon festival. They are supposed to go up in their a-ha hot air balloon, but unfortunately it is too windy. 13	The UK Saturday Morning Children's TV show "UP2U" shows Morten and Mags in their "Norwegian balloonist outfits" in Bristol. 14	At the Norwegian film festival in Haugesund, "Kamilla og Tyven" gets the special prize "Gullstrimmelen". This prize was founded in 1972 and every year, it is given to the best Norwegian produced, best imported children's film or to the person who has done something special to support children's films. 15	"Touchy!" is released in the UK; Paul Simpson has remixed the single for a "Go-Go mix". 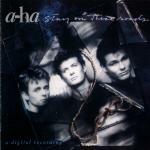 18	On UK "Radio 1", Gary Davis interviews a-ha and they choose some of their favourite records including Bruce Springsteen's "One Step Up" and Robbie Robertson's "Somewhere Down The Crazy River". 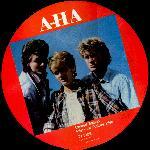 In the evening a-ha introduce some records on "Capital Radio" in London, UK. 19	a-ha perform "Touchy!" on the UK TV show "Wogan". A trailer for the show is shown earlier in the day, showing Morten announcing the performance and Terry Wogan playing drums. 20	On the UK Saturday morning children's TV show "Get Fresh" a-ha are interviewed and they have a picnic. 21	a-ha are on UK Radio 1 "Backchat" with Liz Kershaw. "Touchy!" enters the UK charts at number 26. 22	a-ha are interviewed on the UK morning TV show "TV-AM". 25	Andy Crane interviews a-ha on the UK TV show "But First This". Morten picks the winners of a Star Wars competition. "The Blood That Moves The Body" is released in Japan. 29? a-ha perform "Touchy!" on "Top Of The Pops" (broadcast 1 September 1988). 30	a-ha go to Tokyo for the start of their Japanese tour. They spend 4 days in Tokyo before going to Fukuoka. a-ha are interviewed on the UK TV show "Night Network". The film "Kamilla og Tyven" is part of the film fair in Milan, Italy. 1	a-ha's performance of "Touchy!" is broadcast on "Top Of The Pops". 3	Sun Palace, Fukuoka, Japan. 4	"Touchy!" reaches its highest position of number 11 in the UK charts and number 6 in the Irish charts. 5	Kosei Nenkin Hall, Kita-Kyushu, Japan. 6? On a Japanese TV show Pål and Morten get given a big birthday cake and a-ha perform "The Blood That Moves The Body". 6	Kenmin Bunka Hall, Ehime, Japan. 7	A Press Conference is held at the Hilton Hotel in Tokyo, Japan. 8	Kenmin Bunka Hall, Nagano, Japan. 9	Sports Center, Sendai, Japan. 11	Kobeinenkin Hall, Sapporo, Japan. The album "Stay On These Roads" spends its last week in the UK top 75; a total of 19 weeks. 13	Castle Hall, Osaka, Japan; some of the soundcheck is filmed for the "Making of Gatsby". 14	Yubin Chokin Hall, Hiroshima, Japan. 16	Budokan Hall, Tokyo, Japan. 17	Budokan Hall, Tokyo, Japan. 18	World Kinen Hall, Kobe, Japan. 20	Shizuoka Shimin Bunka Kaikan, Shizuoka, Japan. 21	Kenmin Kaikan, Niigata, Japan. 22	Kenmin Bunka Hall, Yamanashi, Japan. 24	Nagoya Gymnasium, Nagoya, Japan. 26	Kanko Kaikan, Kanazawa, Japan. 27	Kenmin Kaikan, Gunma, Japan. 28	Bunka Gymnasium, Yokohama, Japan. 30	Budokan Hall, Tokyo, Japan. 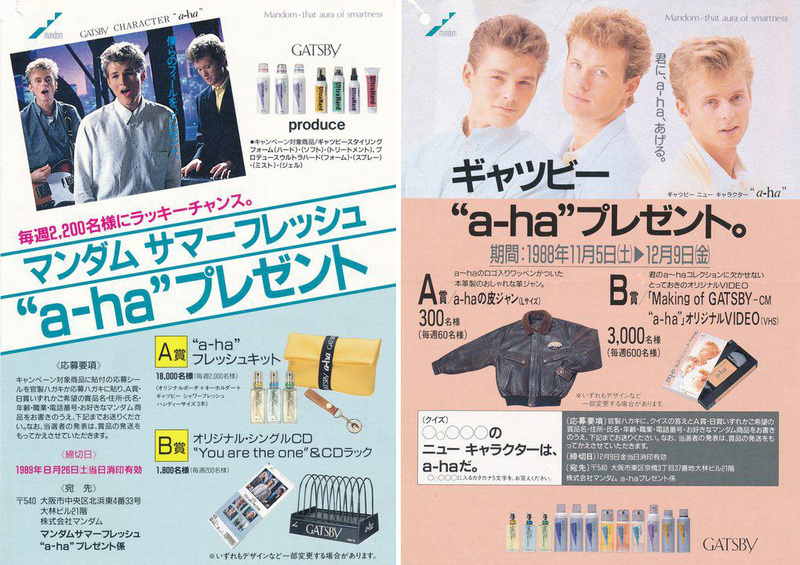 During a-ha's stay in Japan they make an advert for "Gatsby", a new make-up product for the company "Mandom Corporation". The advert is made in the 109 Studios, Shibuya, Tokyo and the money from which goes to "Worldview International Foundation". 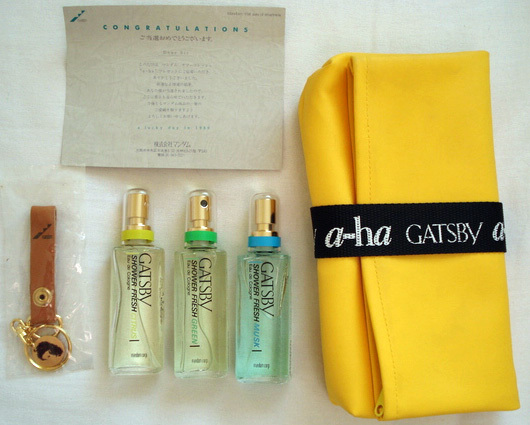 There is also a special "Gatsby" "You Are The One" CD made and some other "Gatsby" merchandise including special "Gatsby" a-ha telephone cards. There is a TV programme shown on Japanese TV which includes backstage clips, clips from the soundcheck on 13.9.88 and the making on the "Gatsby" adverts along with the adverts themselves. A video of the "Making of Gatsby" is made and includes funny clips of the band in their dressing room, Mags and Pål playing with a dog, Mags drawing a picture of Terry Slater and the photo shooting itself. Also parts of the press conference at the Hilton Hotel on 7 September and of the soundcheck and concert in Osaka 13 September are included. The mini album "Road Club" is released on picture CD and on LP in Japan. It contains mixes of "The Blood That Moves The Body", "Take On Me", "Stay On These Roads", "Hunting High And Low" and "Soft Rains Of April". The album "Stay On These Roads" goes gold in Germany and Brazil selling 260,000 units and goes platinum in France, selling over 500,000 units. The gig's planned for Holland, Belgium and Finland are cancelled. 1	a-ha are still in Tokyo, Japan. 2	"Touchy!" spends its last week in the UK Top 75; a total of 7 weeks. 27	a-ha are in Rome, Italy for two days of promotion; they are interviewed on the TV channel "Radio Carolina". "Kamilla og Tyven I" is back on in the Norwegian cinemas. 1	In Amsterdam, Holland a-ha perform "You Are The One" on the TV show on "Coca Cola Pop Formula". On the Coca Cola Eurocharts Top 50 in Amsterdam, a-ha perform "Touchy!" and the audience sings "happy birthday" to Mags. On the Dutch TV Show "Countdown", a-ha perform "The Sun Always Shines On T.V." and "You Are The One", Morten is interviewed and the audience sings "happy birthday" to Mags (broadcast 2 November). 2	On the French TV shows "Télé Caroline" and "Sacrée Soirée", a-ha perform "Touchy!". 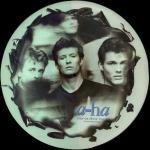 On "Sacrée Soirée" a-ha are also given platinum discs for the album "Stay On These Roads". "Countdown" is broadcast on Dutch TV, a-ha perform "The Sun Always Shines On T.V." and "You Are The One". 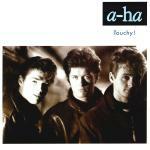 3	In France, a-ha are interviewed and perform "Touchy!" on an "RTL" TV show. In the evening, a-ha go to Madrid, Spain. 4	In Spain, a-ha perform "Touchy!" and "You Are The One" on the TV Show "Rock of Pop" (Studio 1). "You Are The One" is released in Germany. 5	In Rome, Italy a-ha do some more TV promotion; they are interviewed on the show "Be Bop A Lula" and by TMC who show part of this interview later in the year on "Clip Clip" video reporter and other parts as a TMC special. In the evening at "Teatro della Vittoria" in Rome, a-ha perform "Touchy!" for the TV show "Fantastico" (RAI1). 17	At the "Stravinsky" pub in Oslo, there is a release party for the LP "Mirror " by the band One2Many (the band featuring one of a-ha's backing musicians, Dag Kolsrud, who played with them on their first tour). They are also celebrating their number 1 hit "Down Town" on VG's singles chart. Morten flies in from London to congratulate Dag and to wish him luck. From Oslo, he flies to Holland. 18? The "Diamond Awards" take place at "Sportpaleis" in Antwerp. a-ha perform "Touchy! ", "You Are The One" and "Cry Wolf". They also receive a a diamond record for "Touchy!" (broadcast on 7 January 1989 in the UK). 21	"You Are The One" is released in the UK; the 12" features a remix by Justin Strauss. 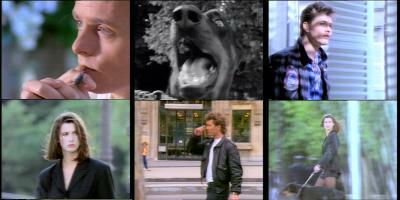 The video for which was filmed in New York and directed by Damon Heath. There are two slightly different versions of the video (one with trumpets). The Royal Variety Show takes place at the Palladium Theatre in London. a-ha are there and perform "You Are The One" (broadcast 27 November). 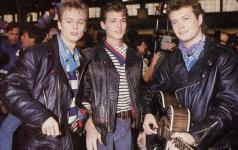 22	a-ha arrive in Frankfurt airport in Germany for the "Goldene Europa" show which takes place in Saarbrücken. At the show, a-ha are presented a "Goldene Europa" award by Princess Gloria for their album "Stay On These Roads" [or for their single "Touchy!"?]. They are interviewed backstage and perform "Stay On These Roads" and "You Are The One". After the show, they have a snowball fight (broadcast in Germany 8 December). 23	a-ha fly from Düsseldorf to Paris, France. On the French Radio station "Europe 1", Morten and Pål are interviewed and a-ha are interviewed on French radio "RTL". 24	Mags is interviewed for the French Radio show "Sky Rock". The French TV shows "La Classe" and "Interchallenge" are recorded. a-ha perform "Touchy!" on both shows (broadcast 7 December and 27 November respectively?). 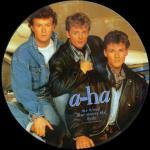 a-ha are also interviewed on the French TV show "Top 50" (broadcast 2 December) and on the TV show "Hit 92"? a-ha are at "La maison de la radio" in Paris recording "Casino Parade". 26	a-ha appear via satellite from Norway on the UK TV show "Going Live! ", where they are interviewed and the video	for "You Are The One" is shown for the first time on UK TV. Mags shows off their former studio-container and some sightseeing places in Oslo and the band also takes part in a video vote. 27	"You Are The One" enters the UK charts at number 41. On UK TV, they broadcast a-ha's performance of "You Are The One" at "The Royal Variety Show". The French TV show "Interchallenges" broadcasts a-ha's performance of "Touchy!"? The Austrian TV show "X-Large" (ORF) organises a competition called "X-Cup" between Michael Jackson and a-ha, the winner is Michael Jackson. 28	"Touchy!" is released in Japan on 3" CD. 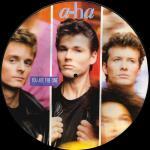 30	a-ha's performance of "You Are The One" is shown on the UK TV Show "Des O'Connor". 2	a-ha's interview on the French TV chart show "Top 50" (recorded on 24 November) is broadcast. 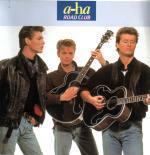 In Hagen, Germany, a-ha appear on the TV Show "Wetten Daß" and perform "You Are The One". 4	a-ha continue with their tour; "We're Looking For The Whales" and "And You Tell Me" are dropped from the set list and are replaced by "You Are The One", "Hurry Home" and "The Blood That Moves The Body". "Out Of Blue Comes Green" is played at some of the shows (for example Wembley Arena). 6	Wembley Arena, London, England. At Wembley, a-ha do an interview for "Motormouth" (broadcast 17 December). 7	a-ha's performance of "Touchy!" is broadcast on the French TV show "La Classe" (recorded 24 November). On the Italian programme "BIG!" 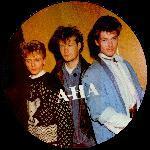 (RAI), a-ha are the people of the week ("Personaggio della settimana"): a feature on the band is broadcast each day. 8	The next part of "BIG! - Personaggio della settimana" is broadcast on Italian RAI. The Italian TV channel broadcasts an a-ha special with 9 video clips and an interview. The TV show "Goldene Europa" is broadcast in Germany. 10	King's Hall, Belfast, Ireland. 11	a-ha are interviewed on the Irish TV show "Beat Box"; this is also broadcast on Irish "Radio 2". 13	a-ha go to Paris, France for two days to do some Christmas	shopping. 17	Part of the interview with a-ha at Wembley is broadcast on the UK TV show "Motormouth" (recorded 6 December). 18	Morten is interviewed and draws a self portrait on Steve Blame's	Show on "MTV". 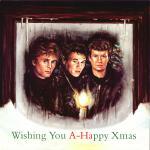 20	a-ha perform "You Are The One" on "Top Of The Pops" (broadcast 22 December). 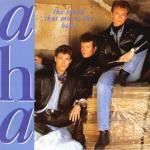 22	a-ha's performance of "You Are The One" is broadcast on "Top Of The Pops". As with the two years previous, Morten is invited to Lars Roar Langslet's home and they sing Christmas songs round the piano and joke about releasing an album together to get in competition with Sissel Kyrkjebø's Christmas album. 27-30	Morten is interviewed for Norwegian TV, he appears in walking boots and Norwegian sweater and admits that he wears this to blend in with the Norwegians (so as not to be noticed). 31	"Kamilla I" is at number 11 in the list of most watched cinema movies in Oslo (53,708 visitors), beating Rambo III, Roger Rabbitt, Police Acamedy V and Three men and a baby. The two films have been sold to 33 countries around the world. In Norway alone, the film made 8 million NOK. The interview picture disc "Tell Tales" is released in the UK. The interview was recorded back in 1985.